The Goldiana Angkor Hotel brings world the Goldian class accommodation and facilities to the exploration of Ancient ruins of Angkor, the world heritage site. We offer delightful combination of warm and friendly service with our world-class facilities to give the best comfort you need while away from home. The Goldiana Angkor Hotel is strategically located at tone corner of the city center in Angkor Siem Reap, the home of Angkor Wat (One of the Seventh Wonders of the World). Just only 10 minutes drive from Siem Reap International Airport and 20 minutes to the temple complex of Angkor Wat. 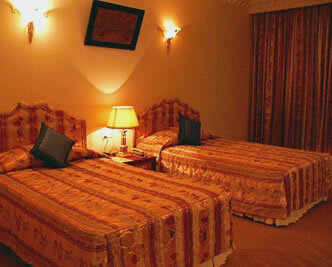 Welcome drink and cold towel upon arrival and complimentary use of the gym and swimming pool. Goldiana Angkor Hotel in larger map.